BEST TECHNIQUES – Dries, nymphs, san juan worms. Streamers later in the afternoon. 1. Get your dry fly boxes ready! Fish have been taking dries and droppers. 2. Be ready for high and or off-color water. 3. If you know someone with a boat, float season is upon us. Rock Creek levels are going to be unpredictable, but, it rarely never fishes. Fish will start taking dries more and more every day. Skwalas, march browns, and caddis are all on the menu. Also, embrace the worm! Good luck from Flint Creek Outdoors. We’re open 7:30-5 Thursday – Monday. 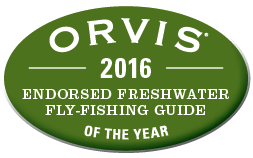 Be sure to stop in to talk to Josh, grab a coffee and some Orvis gear, and flies from the the best fly selection in the region. Levels are unpredictable through runoff, however, Rock Creek rarely never fishes. Dries, nymphs, san juan worms. Streamers later in the afternoon. NYMPHS - Pat's Rubber Legs, brown, #6; Hare's Ear Nymph, #10-14; Pheasant Tail Nymph, #14-18; Pink San Juan Worm, #8-10; Montana Prince, tan, #12-16 DRIES - BWO's, #16-20; Purple Haze, #10-18 STREAMERS - Sparkle Minnow #6 in Olive; Zonkers #6, 8 in Natural, Olive, or Yellow; Kreelex Fly #6 in Copper/Gold, Gold/Silver, or Purple/Silver. 704 CFS at the mouth. Cutthroat, rainbow, cutt-bow, brown, bull, some brook trout, and whitefish. 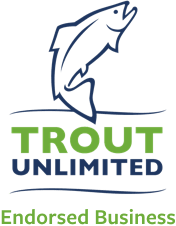 Open year round, but catch and release for trout during winter. Crisp 9' 5wt for nymphing but super fun spot to swing streamers with switch rods.